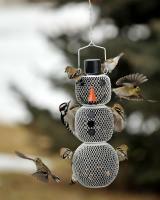 Best bird feeder we have ever had. Why? 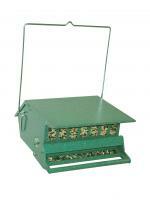 Durable construction with stainless hardware and will last for years, good looking as color blends in with surroundings, great design with easy clean trays and oversize roof for rain protection. 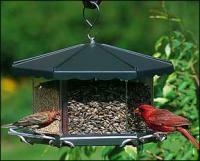 I like this feeder it will not ware out. Protects the seed from most of the weather. The birds like this one. This is an excellent bird feeder. The only thing to make it better would be a wider tray to keep the seed from falling to the ground.